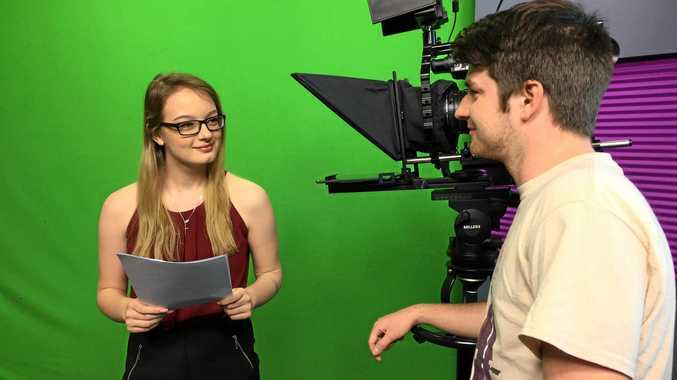 ACTION: QTV This Week host Natasha Morton, with Emerge music interviewer Calen Le Couteur. THE times are certainly changing in the newspaper game, but does that mean there is no future for the thousands of energetic and enthusiastic young people still keen to deliver you the stories that matter? Not a chance, especially if you ask USQ senior broadcast journalism lecturer Dr Ashley Jones, who has been one of the driving forces behind a collaboration between the uni and the Queensland Times. In case you haven't noticed, the QT and USQ have been collaborating for quite some time now, starting with the "After the 80" rugby league panel show, now featuring QT sports reporter Ben Wilmott as host. AT80: Kangaroos team selection: After The 80's Anthony Breeze and Ben Wilmott talk Kangaroos team selection ahead of the upcoming Four Nations tournament. The show is travelling well after a dozen or so episodes that have featured on the QT website, but that is not where the relationship ends. The QT now also features USQ's Emerge series, with profiles, live video and audio of emerging musical talent. Sleeping Car: Latest song from "Dave is a Spy"
The QT has been featuring each artist's Q & A in print, with links to the live video and audio on our website, in our weekly Pulse guide in Thursday's paper. 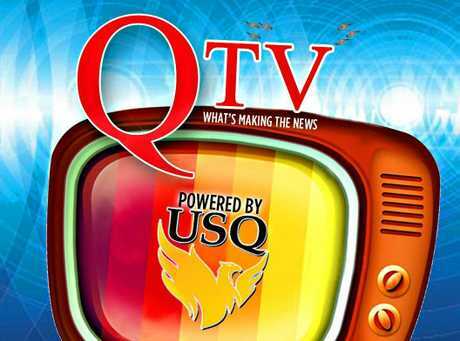 The icing on the cake in the collaboration between the QT and USQ, however, is This Week on QTV - the new TV news segment featuring the top QT stories each week. After a pilot show last Saturday where producers aimed to iron out any issues, all hands are on deck for the first official QTV episode tomorrow. Dr Jones said he was excited about the show and the opportunities it would provide to the next generation of reporters and production specialists. "The key think I see is that this is probably the first real attempt at this type of media convergence," he said. "It's a perfect opportunity for students to understand the changing landscape, and it is refreshing to see APN really embracing the idea of what newspapers could look like for a new generation, and the current generation too." The first episode of This Week on QTV will be posted on qt.com.au early tomorrow and will feature half a dozen of our best stories, plus the latest from sport. APN-ARM chief executive officer Neil Monaghan said the collaboration did not mean the QT was shying away from its core purpose of delivering local news. "This just ticks so many boxes for us. Not only do we get to collaborate with a great partner in USQ, we are also providing a platform for up and coming journalists to broaden their skills," Mr Monaghan said. "Importantly for our audience we are providing hyperlocal news and that is the key, this is not syndicated or recycled content. It is local content, delivered through the convenience of video by trusted local news brands."